When you're searching for Tamara Baskin Hanukkah Gifts, you'll find everything you need at www.TraditionsJewishGifts.com. We're the number one resource for anyone looking for a stunning Tamara Baskin Glass menorah, Tamara Baskin handcrafted fused glass Hanukkah dreidel or any other handcrafted Tamara Baskin Judaica gifts. Born in Israel, Tamara Baskin is a renowned artist famous for her brilliant fused glass production. 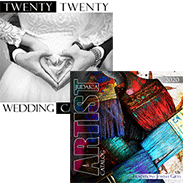 She creates elegant and functional works of art designed to celebrate Jewish life cycles. Her captivating designs are recognized throughout the world. If you need to find a meaningful gift for the person who has it all, consider Tamara Baskin Hanukkah gifts. It goes without saying that dreidels and menorahs are two of the most coveted gifts during the holiday season. However, one size and style doesn't fit all so it helps to have a selection from which to choose. There are countless options to consider when you're purchasing a Tamara Baskin handcrafted fused glass Hanukkah dreidel. Her high-quality dreidels are certain to be a welcome addition to any collection. Choose from the White and Red Peace Sign Fused Glass Collectors' Dreidel, the White and Blue Peace Sign Collectors' Dreidel, Fused Glass Chanukah Dreidel, Red Beaded Glass Dreidel, Grape Swirl Beaded Dreidel, Tomato and White Beaded Dreidel, Star Dreidel and other beautifully crafted dreidels. 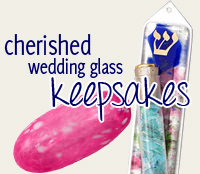 With so many choices of Tamara Baskin handcrafted fused glass Hanukkah dreidels, there is something for everyone. When shopping for a Tamara Baskin glass menorah, select from the Circular Fused Glass Hanukkah Menorah, Mediterranean Hanukkah Menorah, Blue and White Marbled Glass Menorah, Mediterranean Menorah, Cobblestone Menorah, Geometric Menorah, Contemporary Fused Glass Chanukah Menorah, House of Jerusalem Menorah, Glass Dreidel Hanukkah Menorah or a Personalized Hanukkah Menorah. Each and every Tamara Baskin glass menorah is bursting with brilliant colors and is sculpted to visual perfection. To learn more about Tamara Baskin Hanukkah gifts, visit www.TraditionsJewishGifts.com. today.